Not every hospital makes the grade. Literally. The Leapfrog Group recently released its spring 2017 Hospital Safety Grade, which rates hospitals based on their error, accident and infection rates. The biannual program, which began in 2012, assigns A, B, C, D and F grades to general acute care hospitals across the country. Each letter grade is based on an analysis of 30 patient safety measures. This year, Leapfrog graded 2,639 hospitals. 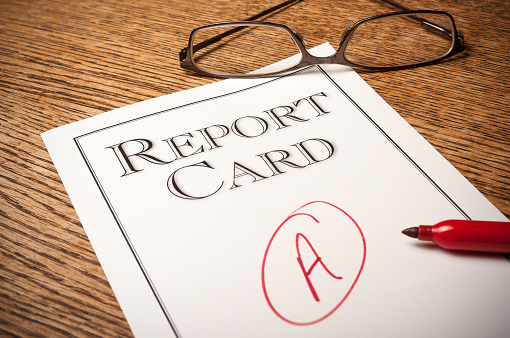 Of those, 823 earned an A, 706 earned a B, 933 earned a C, 167 earned a D and 10 earned an F.
Leapfrog also analyzed which states had the highest percentage of A hospitals. Maine took the lead, with 68.8 percent of its hospitals earning A grades. Hawaii, Oregon, Wisconsin and Idaho were also among the top five states with the highest percentage of A hospitals. Alaska, Delaware, the District of Columbia and North Dakota bottomed out the list, as none of their hospitals earned As.